I'll be honest, the thought of reading a book set during the Vietnam era didn't immediately intrigue me. I'm happy, however, that it didn't stop me from reading it. Cathy does an amazing job of placing you into both the jungles and beauty of Vietnam while also treading through the war that occurred there. While we see the deep impact this war creates in the main characters' lives, she never allows the reader too far into the actual horror of it. Her descriptions of what they encounter in certain scenes spaced throughout the story play more with the characters' reaction to it than the actual visual of it, and as a reader I was thankful for that. I did struggle at times with the last one-third or so of the book which, to me, moved at a slower pace than the beginning and middle. However, I truly loved the natural progression of each character. Both Luke and Kristin had their individual journeys of healing from the time we first meet them, and Cathy doesn't string along these hurts or use them as a stumbling block in their relationships any longer than necessary. She balances their internal conflicts with the external ones driving the story in a fantastic manner, keeping their romance right on track. 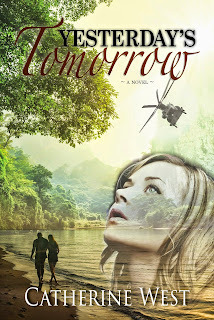 You can pick Yesterday's Tomorrow up here and enjoy a great read this weekend! 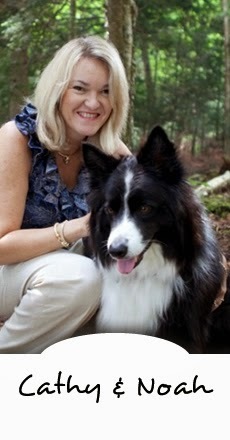 And don't forget to check out Cathy's Facebook party on the 22nd right here. Go ahead and click on over, she's giving away some pretty snazzy pre-party gifts! Hey Susan, thank you for meeting with me today.I greatly appreciated and needed it. I said I'd send you a link to my blog to check out when you get a minute, here it is teddybearmomma.WordPress.com. let me know what you think. This is one of my all time favorite books. Cathy pulled me right into the story.